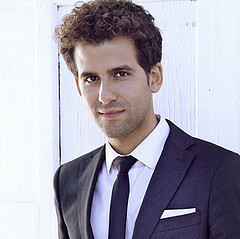 Chamber Music Sedona, one of the leading presenters of chamber music in the American Southwest, has announced the appointment of cellist Nicholas Canellakis as artistic director. He succeeds Bert Harclerode, who has led the organization for the past 25 years. Canellakis, much in demand as a chamber musician at venues throughout the U.S., first performed at Chamber Music Sedona in 2010 and has served as co-artistic director of its Sedona Winter Music Festival since 2014. “ ‘I am thrilled and honored to be joining Chamber Music Sedona as artistic director,’ “ Canellakis said in a news article published June 4 in Kudos AZ. “ ‘I have enjoyed getting to know the organization and the community well. Sedona is a special place, full of passionate and devoted classical music lovers…and I can’t wait to bring to it the most exciting, talented, and brilliant musicians in the world.’ “ Chamber Music Sedona, founded in 1982, presents a high-quality series of weekend concerts in its October-to-April season at several venues in Sedona, located in the picturesque Red Rocks region of Northern Arizona.